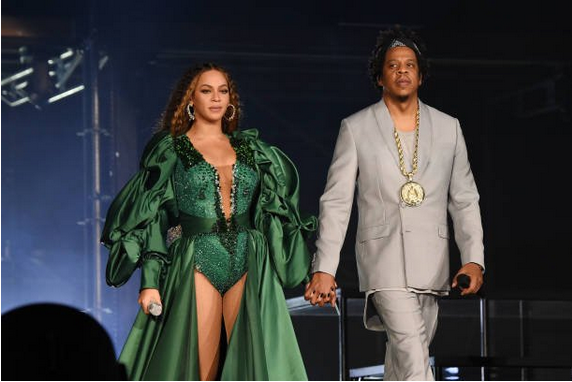 Nigerian music stars, Wizkid, Tiwa Savage, D’banj and Femi Kuti, on Sunday performed alongside Jay-Z and Beyonce at the Global Citizen Festival in South Africa. The event also featured performances from Usher, Ed Sheeran, Pharrell and Casper Nyovest. While Wizkid, Tiwa Savage and Femi Kuti performed some of their hit songs, D’banj took fans down memory lane with an energetic performance featuring a medley of his classic songs. The highlight of the festival was the performance by music couple, Beyonce and Jay-Z. The duo came on stage shortly after Oprah Winfrey’s moving speech. The couple emerged in stunning new costumes and opened with a soul-stirring rendition of Jay-Z’s hit song, ‘Holy Grail’. They returned to the stage to perform ‘Apeshi’ from their joint album before bringing out surprise guests, Pharrell Williams and Ed Sheeran, who performed ‘Perfect’ alongside Beyoncé. The 2018 festival, which is in honour of the late South African President, Nelson Mandela, hopes to inspire social activism with the aim of ending extreme poverty by 2030.